For e-commerce retailers, Black Friday, Cyber Monday and the run up to Christmas are the most critical days of the year. This year was truly exceptional. Small Business Trends reported in early December that Cyber Monday sales increased a whopping 50 percent over 2016. Sales during the busiest cyber shopping times – the early morning window beginning at midnight – increased more than 90 percent as shoppers sought early deals. The spike in business this represents is extraordinary. If you are a retailer or vendor you need to prepare for a tremendous uptick in business in late November going forward. Strong sales can help you close out the year successfully, while a weak showing will dim prospects. Each year during the four peak days of shopping – from the traditional Black Friday retail madness to Cyber Monday – we learn a little bit more about what’s working in the eCommerce world, from drop shipment to EDI. We’ve taken a closer look at the headlines and have some key takeaways from the start of the shopping season this year and ways you can beat supply chain problems that are making news this holiday season. One of the many problems with e-commerce and drop shipment is when customers have to wait for their orders or when an item comes damaged. Racked reported that shipping issues plagued even the biggest e-commerce merchants. During the slowest times of the year, customers hold companies accountable for shipping issues. When it’s the holiday season and they need to get something for a party, this becomes even a greater issue. There are factors outside of an e-commerce retailers’ control, like bad weather. There are also problems that could be mitigated by having visibility into your supply chain to help ensure your warehouse is properly stocked. Using inventory and performance dashboards that give managers line-of-sight into shipping flow gives you a chance to avoid shipping headaches during the holidays. You should also use your dashboard to monitor purchase orders in real time and survey inventory levels. With added visibility you can stop holiday shopping backlogs and quickly fix any problems. Warehouse problems and supply chain glitches aren’t the only potential pitfalls. If you have issues with tech, they will be exposed during the start of holiday shopping. Technical glitches mean an enormous loss of potential revenue. Shopimom reported that glitches and problems led to $1.88B in lost sales. As holiday business increases, this number will continue to rise unless technical issues are sorted out well ahead of time. Retailers also need to make sure that items are shipped and tracked properly which can be a chore with the uptick in volume. The right EDI platform can help by ensuring compliance with trading partners. We recently wrote about how better supply chain automation is empowering smaller manufacturers. In terms of order-by-volume one of the clear winners of the start of the holiday season was automotive companies. Numerous publications reported that online auto buying was brisk beginning on Black Friday through Cyber Monday. Auto Remarketing magazine reported that the early holiday sales were part of a brisk year for online car shopping overall. If you are part of the auto business, this means beef up your e-commerce and be prepared for a lot more drop shipment around the holidays next year. 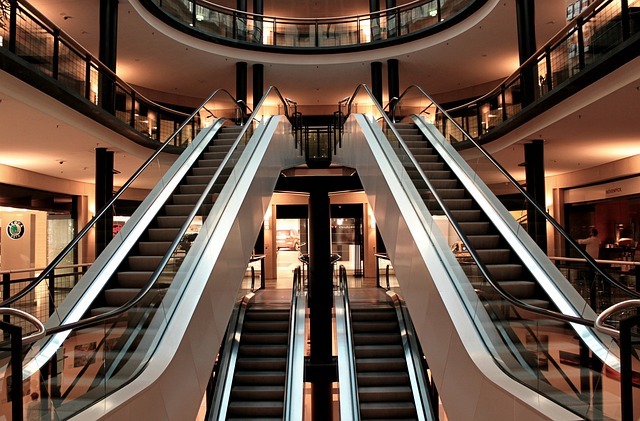 E-commerce is in many ways an infinite sales floor. Holiday shoppers are a combination of people who’ve been preparing to buy that new flat screen television for six months and impulse buyers. As a result, you’ll never know what you will need to ship when the season comes around. Make sure you have insight into just what is available on your vendors’ shelves using an available-to-ship dashboard and make sure all items are properly identified on your website. As you ramp up your drop shipment enterprise around the holidays also be ready to accommodate returns and set clear expectations with vendors. We tend to think of the holiday shopping season as a harbinger of what’s going to drive supply chain initiatives for the coming year. Omnichannel retailing is the biggest trend we’re seeing being driven more by ecommerce and the convenience of shoppers getting packages when and where they want. We’re seeing retailers positioning to support same-day shipping, which is so pressing that Target just acquired the grocery delivery startup Shipt. We’ll look for this and continued trends in drop shipping, vendor collaboration and distribution network rationalization in 2018. Founded in 2000, DiCentral is a leading global provider of EDI and supply chain solutions headquartered in Houston, Texas, with 11 offices worldwide supporting customers across multiple sectors in over 27 countries.